y a la vez de condena ante estas políticas aberradas. 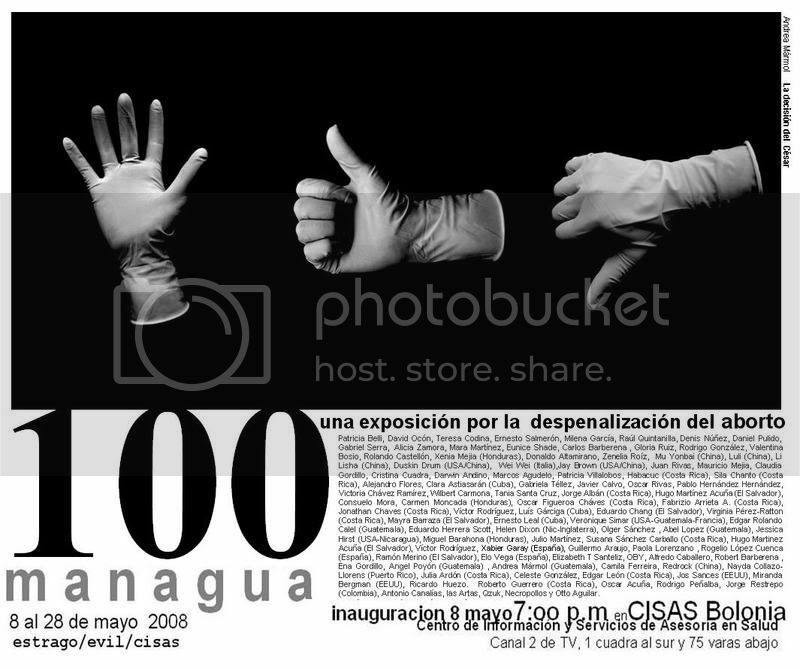 Therapeutic Abortion Exhibition In Nicaragua (Central America) aprox. 100 women have died because of the prohibition of Therapeutic Abortion since 2007. The prohibition of Therapeutic Abortion was made as a political strategy to make a deal with the Catholic Church during the Presidencial Elections. This show tries to be an alert for these kind of political strategies.